DZS Video Portal lets you convert your WordPress site to a video portal site like YouTube, Vimeo or 9gag.tv by offering Likes, Playlists, Upload and even an optional SignIn functionality. easy install – purchase, download the zip, access your WordPress Admin Menu > Plugins > Add New > Upload zip and that’s all! I have already been using Video Gallery so I thought it could pull the videos from the existing video gallery. 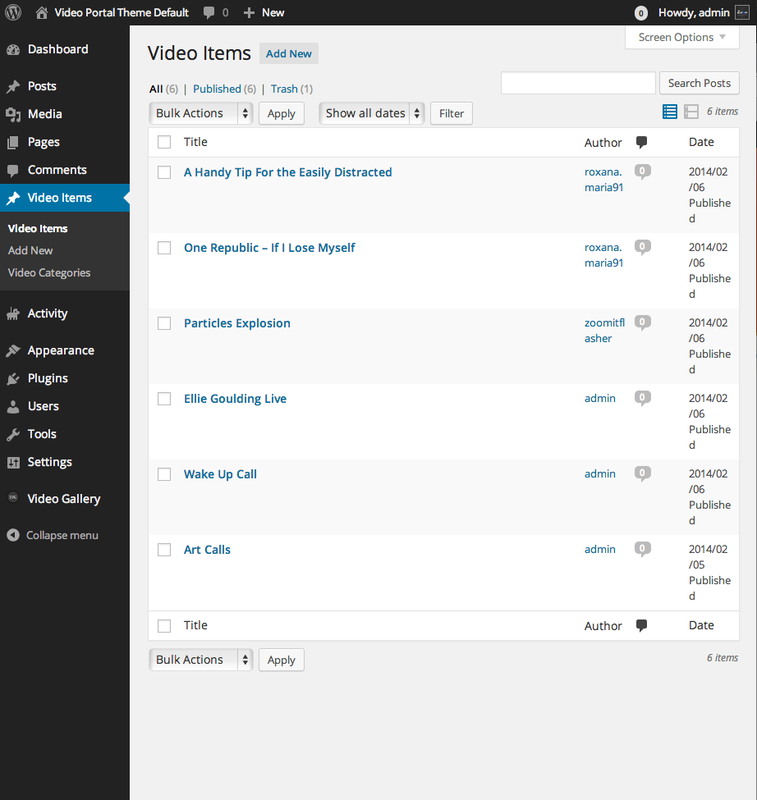 Do I need to create a different video gallery for the portal add-on? The Video Portal is just a addone. Your existing Video Galleries do not change and can be added as normal. My theme already has an integrated custom frontend login. How do people add video to the portal? The login mechanism does not matter. 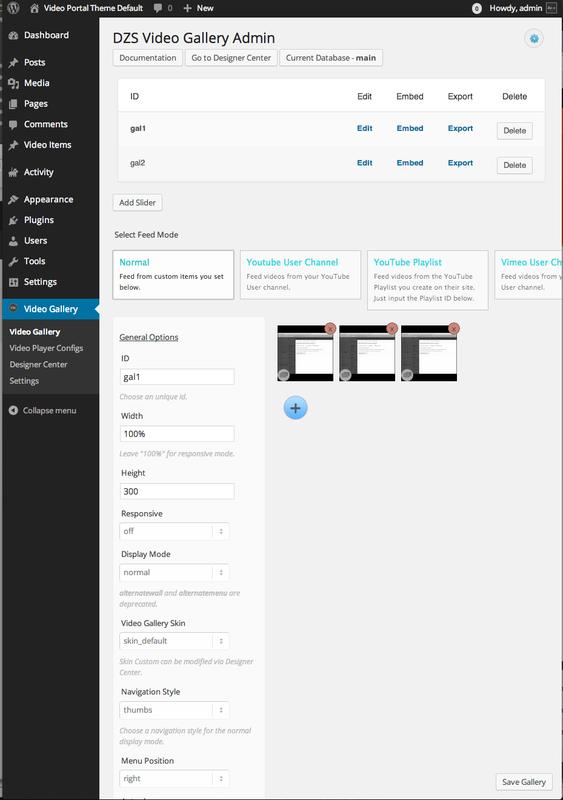 Any wp user on your site can submit videos via the optional generated Upload page. 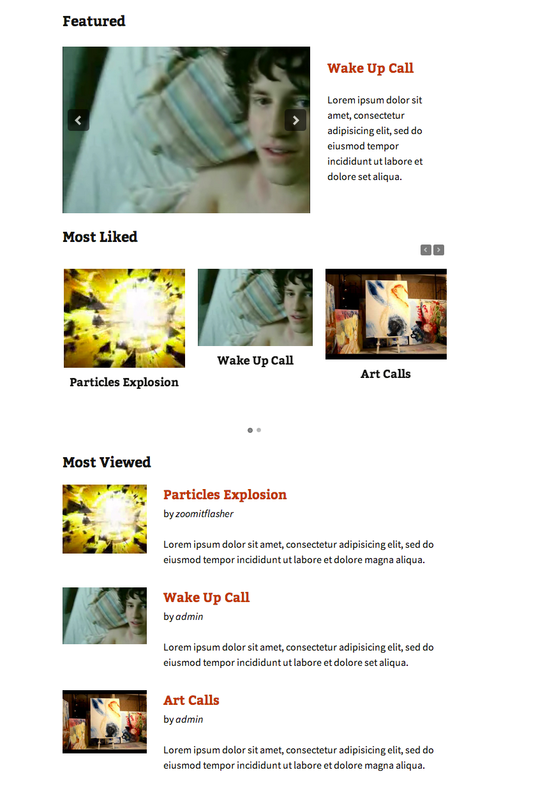 Or via the WordPress Dashboard. I use shortcode in post without add in gallery. In order to track views, ratings, likes you need to create Video Items for getting these functionalities to work you can create YouTube video items too.